While we don't have our Bible study ready to go just yet, we're hoping to get it up and running after the first of the year. This landing page will give you an idea of what we're planning. Jesus is known for several things. First is his death and resurrection. But he was also known as an amazingly effective teacher. 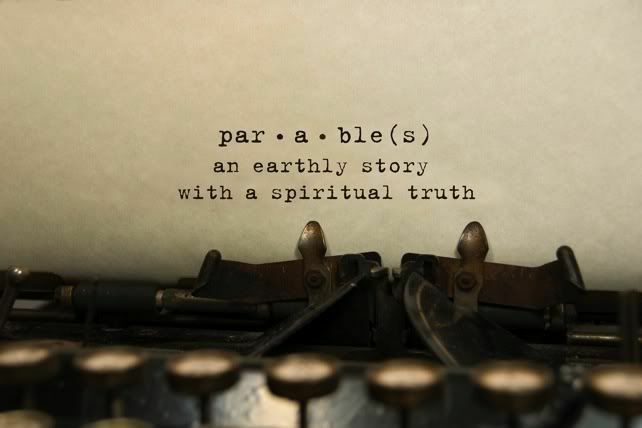 Almost 1/3 of Jesus' teachings were told through the use of parables - stories with human characters and events that taught about spiritual truths. Jesus used parables for a variety of reasons. The first might be that he was speaking to ordinary people who connected with stories about lives like their own. They were also a very oral community, accustomed to great storytellers. Another reason was that by using parables, Jesus taught his disciples and followers with easy to remember stories. This 6-part Bible study will share a bit about parables as well as dig deeper into 6 of the parables that Jesus used in teaching. If you'd like us to notify you when our study on The Parables of Jesus is ready to launch, just email us by clicking here.